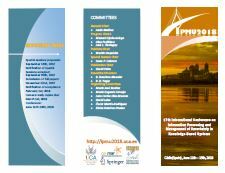 IPMU is a conference which always gathers some of the most important researchers in fuzzy-related areas to discuss the current state-of-the-art and possible future developments. We are proud to say that Lotfi A. Zadeh was one of its co-founders and contributed to each of its editions between 1986 and 2008. In the next IPMU edition, a well-deserved homage will be paid to his scientific work. – A special panel session on the legacy of Lotfi Zadeh, in which panelists will speak of the scientific and application legacy of Lotfi Zadeh’s ideas. – The creation of the Lotfi A. Zadeh IPMU best paper award. – A photo book illustrating the Lotfi A. Zadeh continued close relationship with IPMU participants. To pay tribute to Lotfi A. Zadeh, who passed away a few months ago, and in memory of his long relationship with IPMU participants, a special plenary panel will be organized to discuss the scientific and application legacy of his ideas. Panelists: Bernadette Bouchon-Meunier, Didier Dubois, Janusz Kacprzyk, Rudolf Kruse, Rudolf Seising, Enric Trillas. 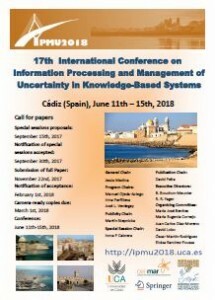 The International Conference on Information Processing and Management of Uncertainty in Knowledge-Based Systems (IPMU) has been organized every two years since 1986, aimed at bringing together scientists working on methods for the management of uncertainty and aggregation for the exchange of ideas between theoreticians and practitioners in these and related areas. The forthcoming edition will be held in Cádiz (Spain), the oldest city in Western Europe. – Eindhoven, Netherlands. IPMU 2016. – Montpellier, France. IPMU 2014. – Catania, Italy. IPMU 2012. Cádiz, Spain, in just one minute.